For more than 80 years the makers of NUTRO® have been dedicated to providing superior nutrition, taste and performance by using only the finest quality ingredients. Our goal has been simple: making the very best dog and cat foods in the world. Using this experience, every NATURAL CHOICE product has been formulated to provide 100% complete and balanced nutrition including all the essential vitamins and minerals pets need for a strong immune system and overall good health. Plus we've added high levels of linoleic acid (an omega 6 fatty acid), for healthy skin and a shiny coat - we guarantee it. And now Nutro is available in Australia and is proudly 100% Australian Made. 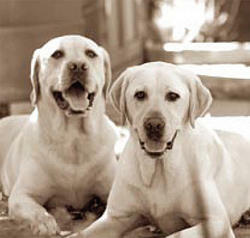 Many retailers, breeders and veterinarians believe that Nutro is the very best pet food you can buy. More importantly, we have the recommendation of millions of four legged satisfied customers around the world. The world of pet food is getting more and more complex every day. There are thousands of different products on the market each competing to have a bigger and better claim than the next food on the shelf. Many of these pet foods take a very complex, scientific approach in the development of their products. When it comes to providing the right nutrition for your pet, Nutro takes a different approach. We've combined the very best natural ingredients with simple, wholesome recipes for a 'good old days' approach to nutrition. There is a growing trend towards natural products which is becoming evident in the community. Shoppers are steering away from the typical means of purchasing their household staples such as fruit, vegetables and breads. More than ever before, they are choosing to make a special trip to the farmers market or wholefoods store for these important items. They realise that although the products essentially look the same - they see the difference in the quality, freshness and importantly taste. Nutro fills a gap in the pet food market by providing uncompromising nutrition for these consumers. Nutro also offers a nutritional solution for customers who don't currently see a brand that fits their wants & needs and therefore spend time home preparing food for their pet. 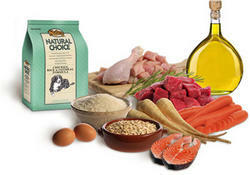 NATURAL CHOICE includes many of the ingredients that you'd find in a typical Australian kitchen. Ingredients such as Chicken, TasmanianÂ Salmon, Australian Lamb, Wholesome Rice & Oatmeal and Sunflower Oil - just simple, good wholesome ingredients for good wholesome nutrition. That's why when you recommend NATURAL CHOICE you can be satisfied that it contains everything that a dog and cat needs - and nothing they don't. 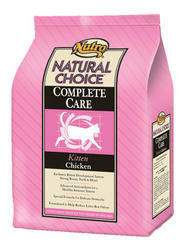 NATURAL CHOICE is committed to using only the very best quality ingredients available. We have a dedicated quality control team who source all of the ingredients based on freshness and quality. These quality checks continue before, during and after the product is made. Our commitment to quality and ingredient integrity is what makes NATURAL CHOICE taste as good as though it was prepared at home - with the peace of mind that comes with 80 years of experience. Most of the pet foods on the market have complex ingredient panels, with many ingredients you may not have even heard of. Take a closer look at a bag of NATURAL CHOICE. You'll find only wholesome ingredients such as Chicken, Rice, Oatmeal and plenty of vitamins and minerals. Having simple recipes doesn't mean that we sacrifice on performance however. In fact, the opposite is true. Due to such careful selection of only the finest ingredients, we also have the finest digestibility results for less backyard waste. Made product are plentiful including supporting local farmers, the economy, highest quality ingredients and a fresher product. As we manufacture locally, transportation including shipping is drastically reduced. This ensures that our carbon foot print on the environment is much lower than imported products. Another key benefit is simply the peace of mind that an Australian Made product provides. We guarantee the freshest ingredients are sourced locally wherever possible. The exception to this is shown in our commitment to sustainability. The rice used in NUTRO is not predominantly from Australia - it is sourced from monsoonal rain fed crops which aids in the conservation of Australia's most precious resource - water. Another example of our commitment to sustainability is that our salmon is farmed and does not contribute to the over fishing of our oceans. The moment fats or oils come into contact with oxygen, they begin to lose their nutritional value and flavour. We have taken special care to preserve the freshness of NATURAL CHOICE with the use of natural antioxidants which slows this process. A special proprietary blend of mixed Tocopherols (natural Vitamin E) and Rosemary Extract is added to each bag of NATURAL CHOICE. 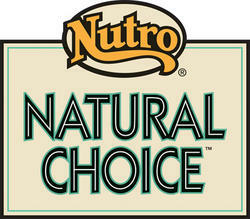 NATURAL CHOICE is also formulated free from artificial colours, flavours and preservatives. Healthy skin and a glossy coat is one of the most visible signs of good health in pets. NATURAL CHOICE contains high levels of Linoleic Acid (an Omega 6 Fatty Acid) derived from Sunflower Oil and Flax Seeds to help nourish the skin and help the coat shine. Plus healthy skin means less itching and scratching and a more beautiful pet - we guarantee it. don't. The exclusion of chicken heads, feet and intestines makes for a more easily digested product which means less backyard pick up. Digestibility is a measurement that is used to determine the pets ability to digest and use the nutrients in its diet. The better the quality of the pet food fed, the more digestible the food will be. Digestibility is an important factor in choosing a pet food as it is a reflection of the quality of the raw ingredients that are used. When ingredients are of poor quality, the body can't break down the nutrients and use them so instead they pass through the body undigested and you end up with more backyard waste. Another important reason to look at digestibility is because you can show customers that the money they are spending on the diet is actually being used by the pet and not just ending up as backyard waste - and happy customers are usually your most loyal. You can see that when you feed NUTRO there is less backyard waste than if you feed the leading super premium or supermarket brands. One of the most visible signs of good health in a pet is beautiful skin and a shiny coat. Through scientific research, we know that Linoleic Acid (an Omega 6 Fatty Acid) is the only essential Fatty Acid proven to improve skin and coat - and healthy skin and coat results in less scratching and irritation for pets. NATURAL CHOICE contains the highest levels of Linoleic Acid derived from Sunflower Oil and Flax Seeds to help make the coat shine - we guarantee it..
For more information on Nutro Natural Choice pet food please visit the Nutro web site.